An electromagnetic field and electrical current inducing surfboard and associated methodology for inducing an electromagnetic field in the area surrounding a surfboard. The surfboard includes at least one induction unit having a magnet and coil winding section. The magnet is arranged such that it is surrounded by the coil winding section and such that it is permitted to move freely within an area inside the coil winding section. Relative motion between the magnet and coil windings is caused by rotating the surfboard about any axis. The relative motion between the magnet and coil windings results in an induced electromagnetic field. Additionally, connecting the induction unit to an electrical circuit results in an induced current flowing from the induction unit. 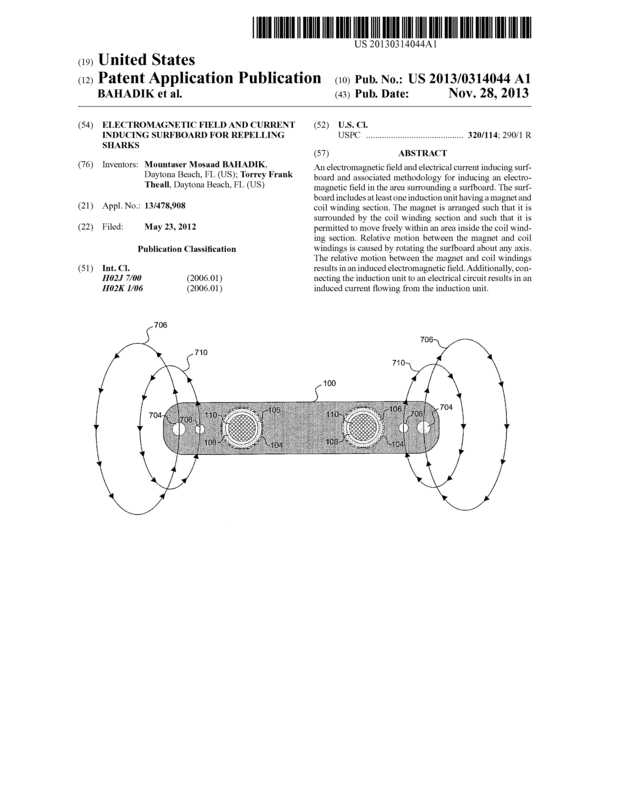 Page created at 2019-04-21 18:42:51, Patent Auction Time.